How to watch The Sinner: The Sinner: Julian (2018) on Netflix Netherlands! 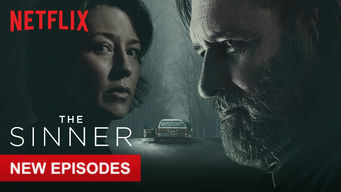 Yes, The Sinner: The Sinner: Julian is now available on Dutch Netflix. It arrived for online streaming on November 9, 2018. We'll keep checking Netflix Netherlands for The Sinner: The Sinner: Julian, and this page will be updated with any changes. When a chilling murder sends shockwaves through a small town, a haunted detective's hunt for answers unravels a web of sinister secrets. The deeper he digs, the more twisted the mystery becomes. It's not a question of who did it -- but why. The Sinner: Cora of The Sinner has 8 episodes. Because different Netflix countries have different availability for episodes, you'll need to check the episode listing below to see which are available in the Netherlands. During an afternoon at the beach, a woman is consumed by a fit of rage and stabs a stranger to death, sending shockwaves through her small town. The court orders a competency hearing. Detective Ambrose presses Cora for an explanation as he tries to sort out his own tangled relationships. Cora begs Mason to bring Laine for a visit. As new information emerges, Ambrose's investigation takes a surprising turn. Cora's memories begin to emerge under hypnosis, sending her to a dark place. Mason takes matters into his own hands. A discovery leads Ambrose to a country club with powerful members. Fragmented visions of a fateful encounter haunt Cora. Ambrose puts his job on the line to help Cora. Cora recalls how her infatuation with J.D. tested her loyalty to her sister. As Cora journeys into her past, the harrowing story of her missing memories finally comes to light. Putting the pieces together, Ambrose pursues a suspect. Cora gets a surprising visitor before heading back to court. 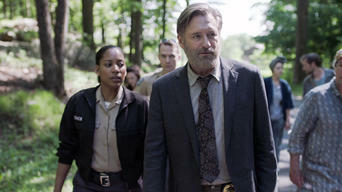 The Sinner: Julian of The Sinner has 8 episodes. Because different Netflix countries have different availability for episodes, you'll need to check the episode listing below to see which are available in the Netherlands. When a young boy confesses to murdering his parents, Detective Harry Ambrose returns to his hometown to help local police unpack the baffling case. Ambrose and Heather question Vera and learn she lives at Mosswood Grove, a controversial commune. Terrifying visions plague Julian in foster care. Julian undergoes a psychological evaluation. 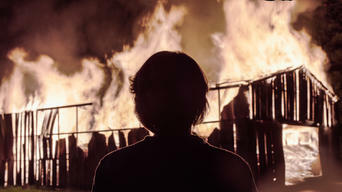 Heather's memories of Marin spark a startling revelation. At a party, Ambrose is haunted by flashbacks. A psychiatric patient's story sends Heather on a hunt for Marin. Ambrose visits Vera at Mosswood and gets a taste of the group's intense "work." Heather confronts Vera about Julian. As secrets about Mosswood surface, Ambrose crosses a line to get closer to the truth. A shocking discovery sends Ambrose to Vera, who opens up about Mosswood's past. Armed with new information, Ambrose ambushes a powerful figure. 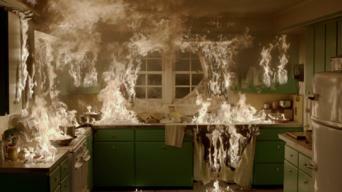 Vera erupts when the police raid Mosswood. Heather and Ambrose break ranks, and their frantic search leads to a surprise. Faced with a choice, Julian seeks Ambrose's advice. The heartbreaking truth about Marin's past finally comes to light.